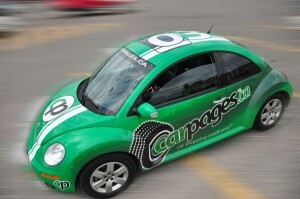 Market Your Car is a leading car wrap company located in Mississauga and servicing the GTA. 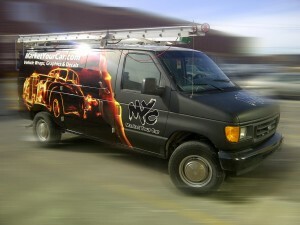 Our network of installers allows us to supply and install vehicle graphics across Canada. We specialize in vehicle wraps and graphics and our primary focus on quality and service has allowed us build great and long lasting relationships with our customers. The key to our growth has been in helping our customers grow their business. Market Your Car is pushing the boundaries of what a vehicle graphics company or car wrap shop should be doing. Our focus on quality and service sets us apart from our competitors. Just give us a call and your will understand why. There are many companies which try to get into the vehicle wrap market by having the lowest price for a car wrap. There is a significant difference in a vehicle wrap which cost $1,500 as opposed to a wrap which cost $2,500 for the same vehicle. More and more business are turning to vehicle wraps and graphics today then ever before. This is why we take the time to inform and educate our customers about this highly popular form of advertising. For more information about the differences about cost vs price please take a look at our blog or give us a call today. 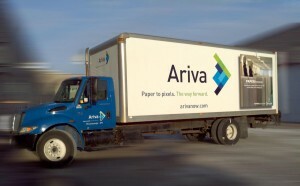 Another major and often overlooked part of branding a business with vehicle wraps and graphics is the design. There are many companies which try to reel in customers by offering free design services. This; in our opinion is not a good way to start the process. Design is such an important part of the impact that a vehicle wrap generates and it should be taken seriously. Being creative is not easy. Trust us. Especially when we have to do it on a daily basis. Vehicle wrap companies which often include design as part of the wrap. 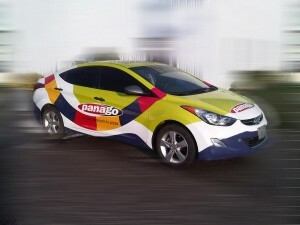 Generally cut and paste graphics together to quickly produce the car wrap design. A designer is not just a person who knows how to use the programs required to put the car wrap together. A designer is creative individual who can come up with ideas and effective ways to get your message in front of people. Creative takes thought and time. Our entire business is built on the success of others. Our success over the years comes from the understanding that we are not just a vehicle graphics company which prints and installs graphics. We are a vehicle marketing company which helps companies grow their business through vehicle advertising. This ideology has help us enjoy growing along the side of our customers for many years. 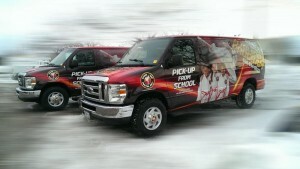 Transform your company vehicles into an effective medium that delivers the most impressions per dollar spent. The average cost for a full vehicle wrap is approximately $2,500.00. That works out to $42.00/month when calculated over a useful life of 5 years. Compared to outdoor and traditional forms of advertising, $50 doesn’t go very far. It’s not even enough for a small ad in a newspaper for one day. Building a brand is not easy and it doesn’t happen overnight. And you certainly can’t do it with one form of advertising medium. 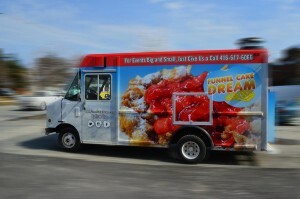 Adding vehicle graphics into your marketing mix can have a great effect on building a brand. It’s passive yet always advertising. And for its initial cost, it should be a large priority for almost any company. Why waste a perfectly good and free advertising space on your company vehicles. Especially if they are driven in areas where billboards may cost above $10,000/month. Design is very important in the effectiveness of any mobile graphics. Most people have seen some horrible vehicle wraps where no one really knows what is being advertised. Below are a few points which are important when thinking about wrapping a vehicle. 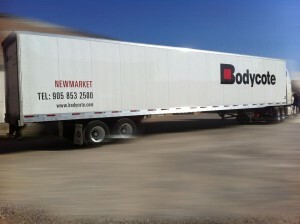 -Keep it short – with a moving vehicle, there is not much time to get your message across. We recommend limiting graphics to 1) Logo 2) Website 3) Phone Number 4) 3-4 bullet points 5)Possible a slogan or tag line. Another important factor is to use the background wisely. It should somehow tie in into the company’s products or services or stay with the corporate branding. Just taking a cool looking background and putting it on a car is not effective. The background is what makes people look at the vehicle and it is tied to the company somehow. It allows the viewer to remember that company easier. Vehicle graphics can be of many shapes and sizes. They can be as simple as decals and as extensive as full wraps. We recommend doing at least a partial wrap. 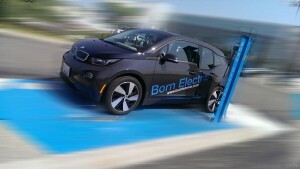 It utilizes a large portion of the vehicle to garner attention and stands out far better than decals. However, depending on the industry and company, decals might be effective enough. The examples on the right show various coverage options for vehicle graphics. A quality installation will ensure your vehicle graphics will last a long time. If proper materials are used and installed correctly, vehicle wraps should easily last 3-5 years with proper care and maintenance. 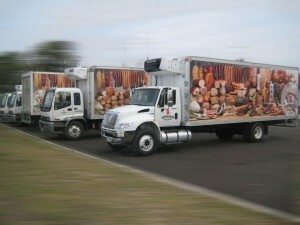 Truck and Trailer wraps can last as long as 10 plus years. 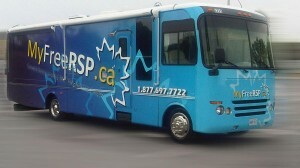 Vehicle wraps and graphics are an investment and should be done properly. Poorly printed and wrapped graphics can have a negative effect on your brand.